A house’s plumbing system is one of the most overly used parts of the home. If not maintained regularly, the network of pipes and tubes could face severe blockage and fail. Homeowners prepare for these major repairs, but sometimes the extent of the damage can be serious. Simple drain unblocking tasks are often inexpensive because most households would go the DIY route. It would perhaps require only a plunger or at least $20 for a bottle of unblocking solution. In general though, a plumber is paid an hourly rate of at least $45. In some upscale locations, a plumber’s hourly rate could go as high as $150/hour. Moreover, the severity of the blockage would increase the cost of a service. Complex drain blockage solutions like clearing the main lines are typically more expensive than simple unblocking jobs. This type of blockage is caused by food debris, grease, hair, and soap and detergent residue. If sink and tub drains are not cleared regularly, the buildup of residue and food debris would obstruct the lines, and trap water and cause backflow. 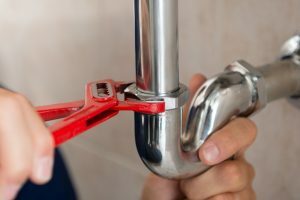 You could expect to pay up to $214 even for simple drain clearing tasks because plumbers normally charge based on the type of service and not on the amount of work exerted. Avoid flushing napkins, toilet paper and other large objects down the toilet or you would be dealing with toilet blockage soon. Unlike the sink and the tub, clearing the toilet is an unpleasant experience. You would need gloves and a snake tool to unclog it, or pay the plumber between $110 and $273 to clear the blockage. Although you would find an industrial snake rental for just $30, you should only attempt to fix a main line problem when you know exactly how this is done. Otherwise, you should consider professional plumbing services. This type of service could cost up to $800. Drains must be cleared as often as possible to avoid severe blockage. Severe blockages may need professional servicing because they are complex tasks requiring special tools. You shouldn’t ignore it until it’s too late.